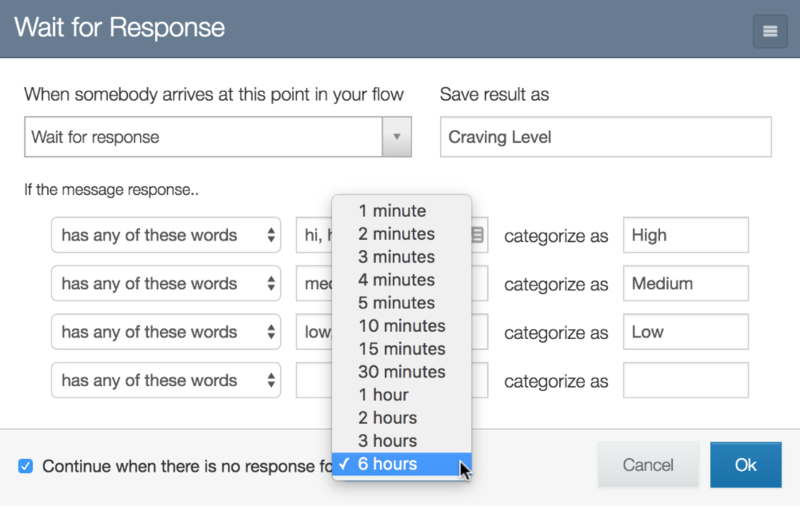 We're happy to announce that we've added an option to set timers on 'Wait for Response' RuleSets. You can use this new feature to send reminder messages to flow participants after a period of inactivity, or create a 'pause' in a flow to stagger messages. If the contact hasn't responded in the amount of time you've chosen, they'll be routed through a 'No response' category. You can connect this category to a 'Send Message' action that encourages them to continue, or leave it unconnected to prompt an exit. 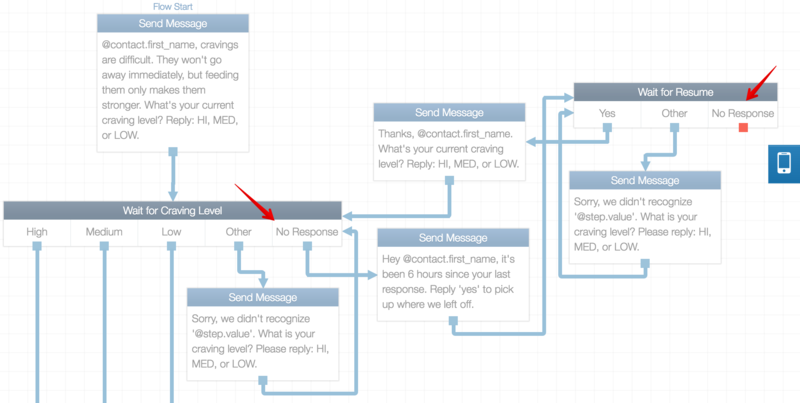 For example, in the flow pictured above, when a contact hasn't responded in 6 hours they receive a followup message asking if they'd like to continue. 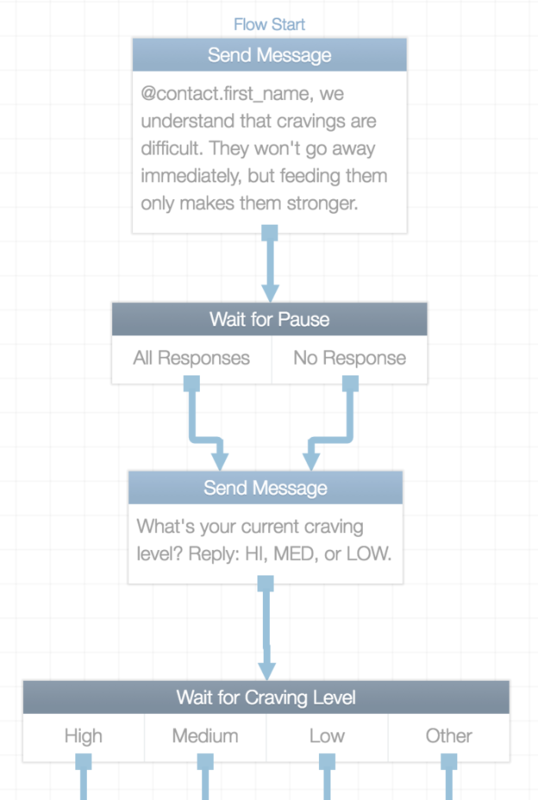 If they don't respond to the followup message in 3 hours, they're exited from the flow. To add a timer, simply check 'Continue when there is no response' at the bottom of a 'Wait for Response' RuleSet, then select a time period. 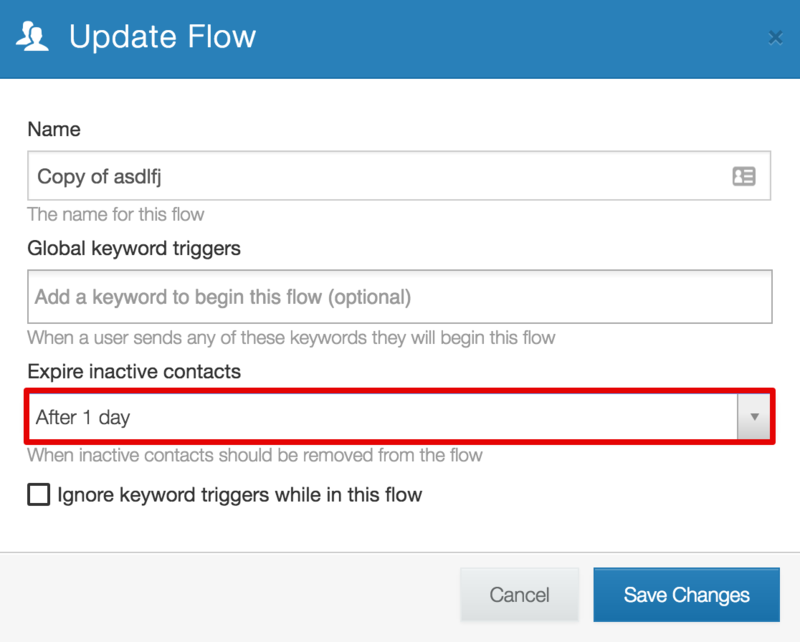 Also note that RuleSet timeouts are now the preferred method for prodding contacts to respond, as messages sent via campaigns now exit contacts from flows. Question? Comments? Let us know. We love hearing from you! Great news, thanks very much guys. Hey Keith, shoot us a message at support@textit.in and we'll have a look.